Peek into the devices of the LV-toting selfie-doting younger generation, and you will find a varied bunch of apps jostling for space — while some book private jets and exclusive members-only concierge services, others make investing in art and stocks stress-free…. 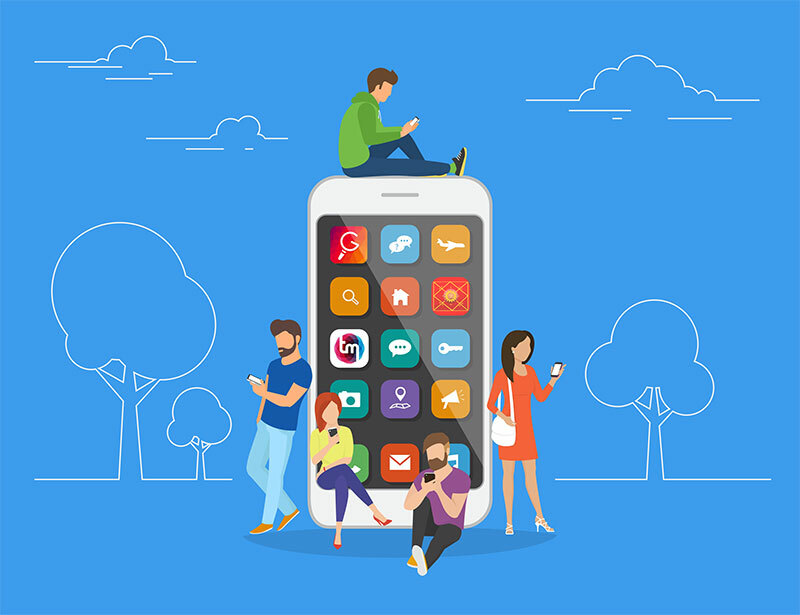 The most popular unsurprisingly are the ‘Indianised’ apps programmed to cater to our caprices and conditioning, making lives simpler, less boring and perhaps more informed. Tech-savvy singles don’t want to play the waiting game anymore. They’re more into scouring suitable profiles (‘verified’ through trust-based scores on TrulyMadly) and setting up a date. They might even try Banihal, a ‘recommendation platform’ that employs AI, calculus, algorithm, neuroscience and psychology to find their dream partners. And, while they may not be in a hurry to exchange email addresses, the kundli calculator that has over a lakh downloads is probably already on their phones — to check if the stars align, of course! Don’t get too lost in the Vedic horoscopes, ancient calendars or live predictions though…lie back and let the compatibility score figure whether the match is mangal or not…. If you find digitised dating nerve-racking, try one of the many satsang, meditation or bead-counting apps in order to relocate your Zen. If religion has found its way to the virtual realm, can festivals be far behind? The Ramadan apps go one step further, tracking halal restaurants and mosques nearby, and offering prayer reminders, even as an animated qiblah compass guides you in the direction of Mecca. Come October, and Kolkata folk can take a crack at Puja Parikrama that enhances the festive experience by listing Durga pujas in the vicinity and acting as an information centre, complete with real-time traffic info for pandal-hoppers. Other apps lend a hand in booking a pundit, teach slokas and provide virtual tours. We can’t vouch for ground realities, but for our lot away from home, it does evoke a sense of nostalgia. And if you want to know more about the battle between the goddess Durga and the demon Mahishasura, look up Mytha which condenses age-old tales into 10 beautifully illustrated panels. Today, there are apps catering to diverse interests, be it learning tanpura, singing Hindi karaoke or following Ayurveda. Fans of the last can now seamlessly reconnect to our ancient traditions, with glossaries, dosha-determining quizzes, etc at their fingertips. While some apps help you to stay healthy and safe, and book cars and professional services, others use satellites to predict natural disasters and save lives. The verdict? Apps rule! But, in a world where we might miss Mr Darcy even if he were sitting in front of our very noses, our heads forever tilted at a 45-degree angle towards our phones, is swiping right for Mr Right really the answer? Should Apple’s Updates Be ‘Path-Breaking’?